The Jackal is back, and he’s conquered mortality! Now, some of Spider-Man’s closest friends and fiercest foes are dead no more! 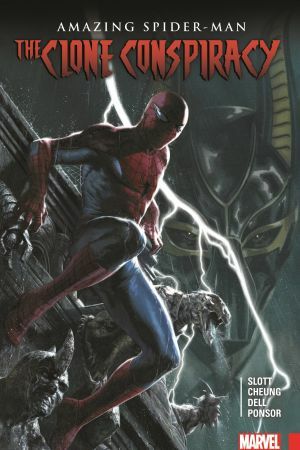 Outmatched by this classic army, does the wall-crawler have a chance? Should he even stand in the way if the Jackal holds the key to eternal life? If Spider-Man doesn’t have the answers, ask…Doctor Octopus! 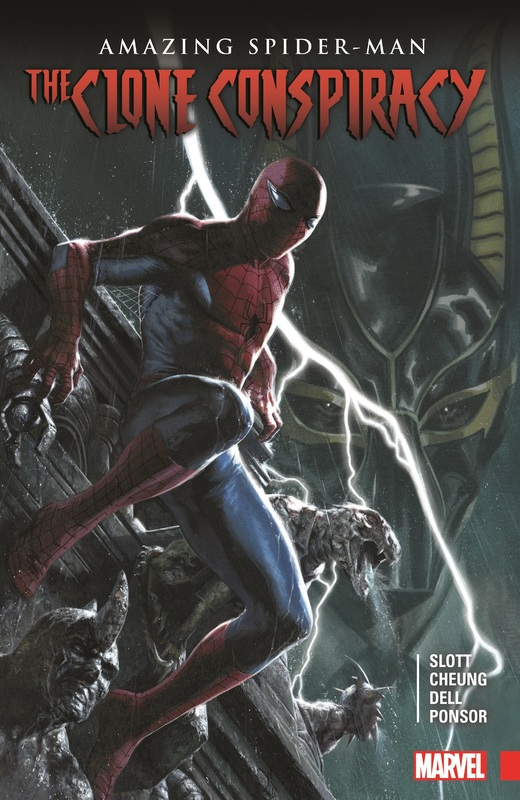 Shocks reverberate throughout Spidey’s world as Silk gets drawn into the fray by a Spider-Woman back from the grave! Kaine faces Carrion! And a reborn Prowler goes to work for the Jackal! But what role does the resurrected Madame Web play? And who’s behind the Jackal’s mask? All this plus…Gwen Stacy! It’s the most death-defying Spider-Event of all time! 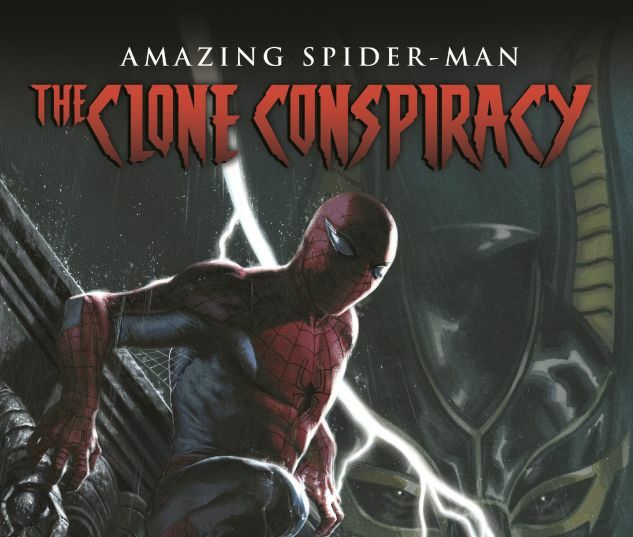 Collecting AMAZING SPIDER-MAN (2015) #19-24, CLONE CONSPIRACY #1-5, CLONE CONSPIRACY: OMEGA #1, SILK (2015B) #14-17, PROWLER (2016) #1-5 and material from FREE COMIC BOOK DAY 2016 (CAPTAIN AMERICA) #1.